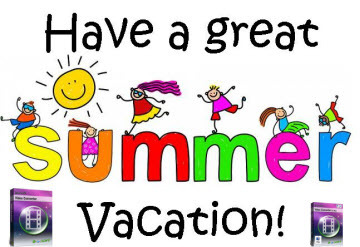 AVI, an acronym for Audio Video Interleave, is a video format created by Microsoft in 1992. As a container file, it contains audio and video data for synchronous playback purposes. AVI is somehow similar to DVD movie formats as it supports multiple streaming. Microsoft created AVI as a part of their Video for Windows technology program. 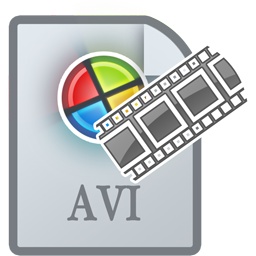 In many cases, AVI uses codecs like XviD and DivX in order to compress and create files. Other than the Windows Media Player, this format can also be processed by third-party media players like the VLC Player, MPlayer, and the KMPlayer. AVI can be created in two ways: compressed and uncompressed. However, uncompressed AVI files can come in a very large file size. While in the uncompressed mode there won’t be any quality lost when recording or creating videos, shifting to that type is not recommended. It may seem to be the more advantageous option as it won’t require any codecs to be played. But creating video files of such a type is not popularly done. In order to play AVI files on those computers, a compatible media player or a certain codec has to be downloaded. There are many instances that even the Windows Media Player would have a hard time processing these files. There are times that the audio will play but the video won’t. If this is the kind of problem that you encounter when playing AVI files, then it could be an issue with the codecs. In many cases, upgrading to the latest Windows Media Player would solve the problem. But if it still doesn’t, try to download both the XviD and the DivX codecs so that the AVI will be played correctly. To play AVI with Windows Media Player, simply open the program and browse to the file on your computer. As you see, AVI format is one of the oldest video formats. Since the day of it was developed there have appeared a lot of AVI codec’s created by both vendors and individuals. So now there are hundreds of avi files that look similar but are completely different inside. That may cause trouble when playing or editing AVI files. There are certain issues with the AVI files and this is especially prominent when it is being used with codecs like Xvid and DivX. This is because there is an unnecessary increase in the size of the file. Then another point is the fact that the AVI container file cannot support the modern features like B-Frames which are generally associated with MPEG-4 files. At times, hacks are utilized for the MPEG-4 subtitles and so on. But there are many problems which do occur. Then again. The AVI files do not have pixel ratio aspect information. Thus what happens is when the file is played it seems as if the frames are being stretched or maybe squeezed on a horizontal basis. There are other formats like QuickTime, Matroska, Ogg and MP4 and these are much more adaptable than the AVI files. To convert AVI files, an excellent AVI converter is needed. Among various video converting tools, Brorsoft AVI converter ( AVI Converter for Mac ) is rating in the first place. This converter can convert AVI to a wide range of formats, like WMV, MOV, MP4, 3GP, FLV and the list goes on. Apart from that, it also provides a large variety of output formats that compatible with iPad, iPhone, iPod, PSP, Xbox, Samsung Galaxy, LG, Blackberry, Sony, Nokia and more. HD and 3D output are also supported. If you want to edit AVI files, this AVI converter will also fulfill your needs. It is equipped with a video editor. You can trim, crop, rotate, merge or split the video as you like. More video adjusting like change visual effects, adding watermarks and loading subtitles are also supported. This AVI converter also built with a media player, which lets you play and watch AVI files without any hassles. In a word, Brorsoft AVI converter is an all-round solution for you to handle your AVI videos. Follow these guides to learn how to convert, edit and play and share AVI files with ease.